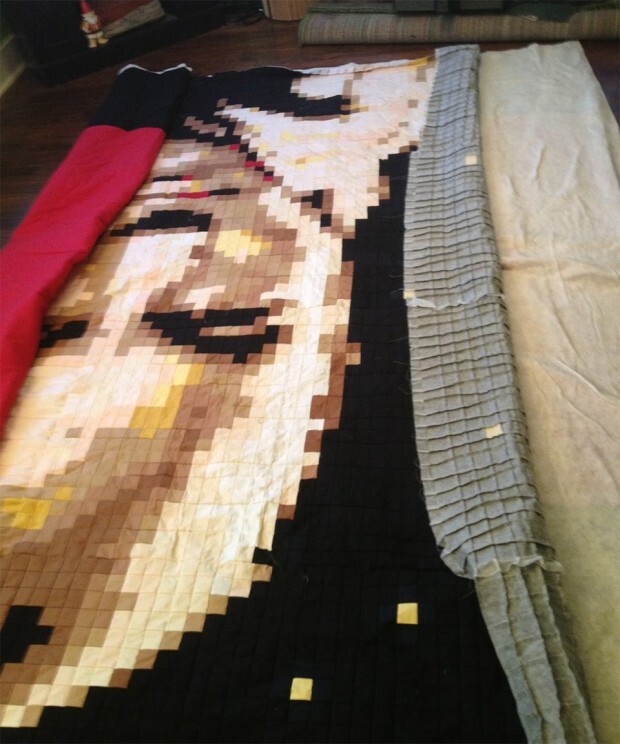 Every time I went to my grandmother’s house growing up she was always working on a quilt of one sort or another. She offered to make me quilts multiple times but I didn’t care anything for handmade blankets back in the day. If she were still around, I would be calling her right now to make me one of these Jean-Luc Picard quilts. 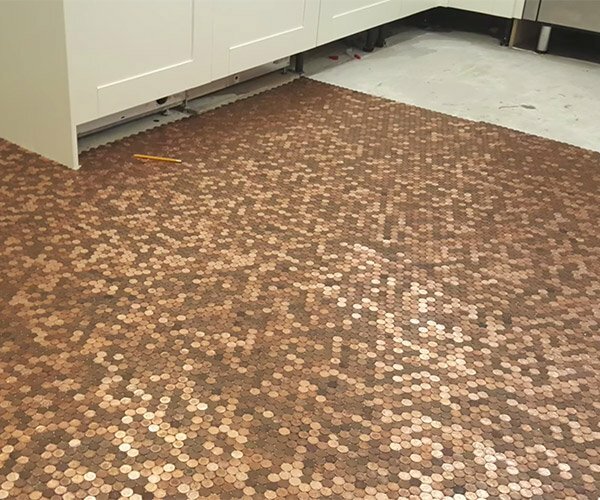 Apparently, the owner of a quilt making outfit called Candy Coated Quilts and made his particular blankie using two-inch squares of cloth. 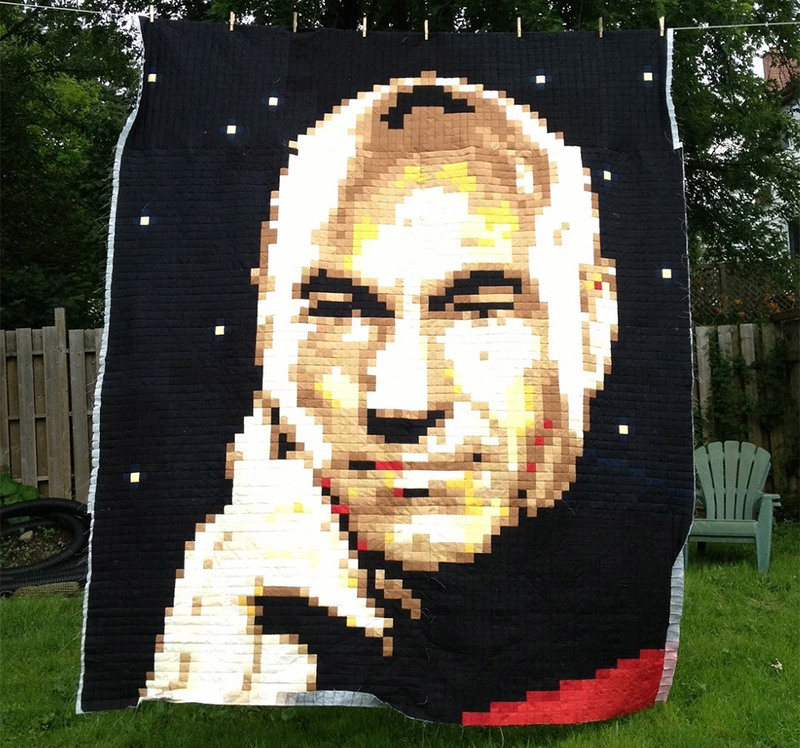 How exactly she was able to make this pixelated looking photo of Picard with the squares is beyond my pay grade, but it’s awesome. The quilt was made for a queen-size bed and required 4,500 fabric squares to complete it. It’s even got the Captain’s Starfleet uniform on the backside. 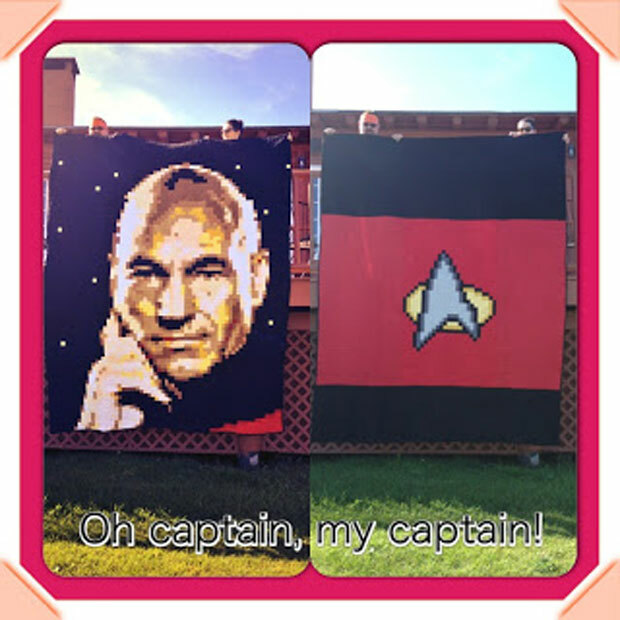 Its creator made it as a wedding gift for a couple of friends who happen to be Trekkies. This is easily the best wedding gift ever.